Use your Debit or Credit Card on Apple Pay®, Google PayTM, and Samsung Pay®. Your phone is a part of your life: texting, social media, checking your HomeTrust Bank accounts, and much more. Now you can use your debit or credit card from HomeTrust with Apple Pay, Google Pay, and Samsung Pay to easily and securely pay for purchases too1! Use your mobile phone to pay for purchases both online and at any of the millions of retail locations that accept mobile payments. Just look for the “contactless card” symbol, and tap to pay! Your debit or credit card number is not stored nor used when paying with Apple Pay, Google Pay, or Samsung Pay, making it less susceptible to breaches. Rather than your actual card number, a unique “token” number is generated for that specific transaction, and only used once. Mobile payments are still covered by the same HomeTrust security that protects your debit or credit card. Open Wallet on your Apple Pay compatible iPhone or iPad. You may be asked to verify your card. You can also learn more on the Apple Pay website. Once downloaded, open the Google Pay app. Tap “add a new card.” If you have a card already associated with your Google account, it may already be loaded! 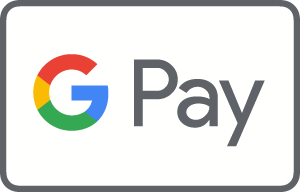 You can also learn more on Google’s Google Pay website. Download the app from Google Play, if necessary. Once downloaded, open the Samsung Pay app. Press “start” after the intro video plays and sign in to your Samsung Account. You can also learn more on the Samsung Pay website.